The STR 20 titanium head has weight positioned around the perimeter to maximise stability and improve forgiveness. A single loft and shaft option keeps things really simple, while a black PVD finish has the cosmetics of a much more expensive driver. The STR is one of only three forged drivers (of 25 tested) in our Top Gear drivers test, which means the pieces of the head are welded together. The weld weight is significant and positions mass in inefficient areas of the club head. Which means there’s not enough weight to create sole weights to influence launch, spin or shot bias like the leading models. 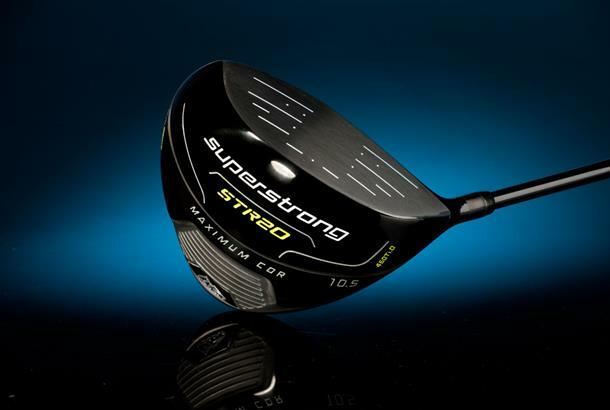 As good as the STR is its absolutely no surprise it didn’t quite compete against the very best models on ball speed or carry distance for any tester. It’s triangular shaped head didn’t get too much love from two of our three testers either. Smaller brands which were doing well 10 years ago have really felt the squeeze recently. Rising prices and bigger brands going all out on R&D and tech, means there’s now a bit of a gap opening up between the leaders and the competition when it comes to performance. If £160 is your budget the STR is decent, even if it doesn’t quite compete against the very best.